TORY RICHARDS: BIG Contest Going on Over at Author Island! BIG Contest Going on Over at Author Island! 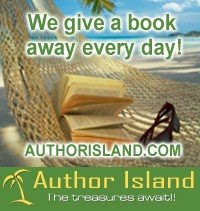 Happy birthday to us, happy birthday to us, happy birthday AuthorIsland, happy birthday to us!!! We're having a party - and if there's anything we here at AuthorIsland.com know how to do, it's celebrate! We have celebrated fantastic authors, wonderful books and great new releases every day for two years now, so we have lots of practice! So, what's the best way to celebrate a very special birthday??? A very special giveaway!!!! We're turning TWO in July so, we're giving away TWO, are you ready for this, TWO AMAZON KINDLES this month!!! TWO! Also this month, TWO very lucky AuthorIsland.com readers are going to win A BOOK A WEEK FOR A YEAR!!! - That's right! One book will be mailed to the winners every single week for one year!!!! How fun is that??? Bet you're wondering about how to enter.... well all the details you need are on the AuthorIsland.com Contests page, come on over and check out all the fun going on over at the Island - we have books and authors galore in just about every genre of fiction there is, we have excerpts and trailers and interviews and chats, we have a free stuff page with details on how you can get a fabulous box of goodies for only the cost of postage, we have two full pages of fun contests and, on top of all that, we give away a book a day, everyday right on the front page!